Mark Rabin from Portable Electric for supplying us with a mobile charging station and an electric generator with a solar panel. Without his generous donation, this project would not have been possible. We would also like to thank Tom Meighan of the Vancouver Art Gallery for providing us with the space to host our prototype. Lastly, we would like to thank Adele Therias and Stephanie Koenig of Neighbor Lab for seeing the potential in our idea and working with us to incorporate it into their existing projects. Technology permeates the 21st century and people are constantly connected to the world through their devices. The City of Vancouver’s Digital Strategy has recognized the need of its residents and visitors to stay connected by providing 550 free public Wi-Fi locations around the city. 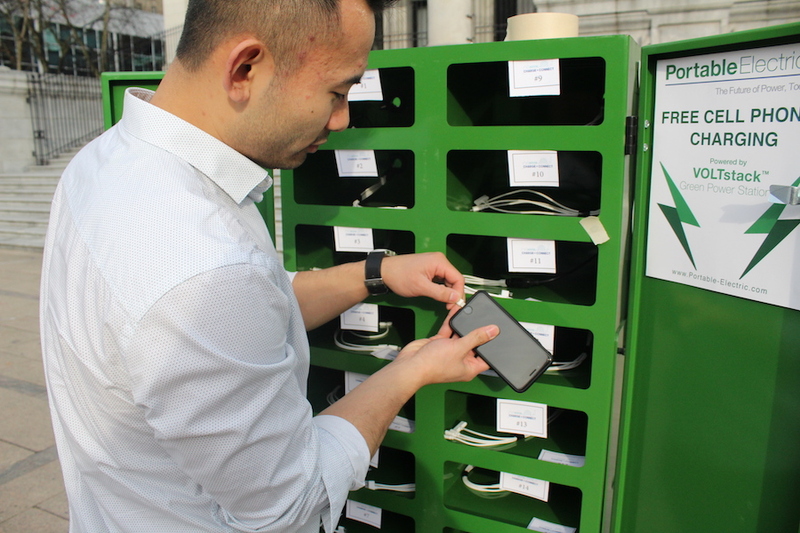 The constant connection to the digital world requires a lot of battery power, however the city does not provide free, convenient charging stations for people to charge their devices while they are away from home, school, or work. 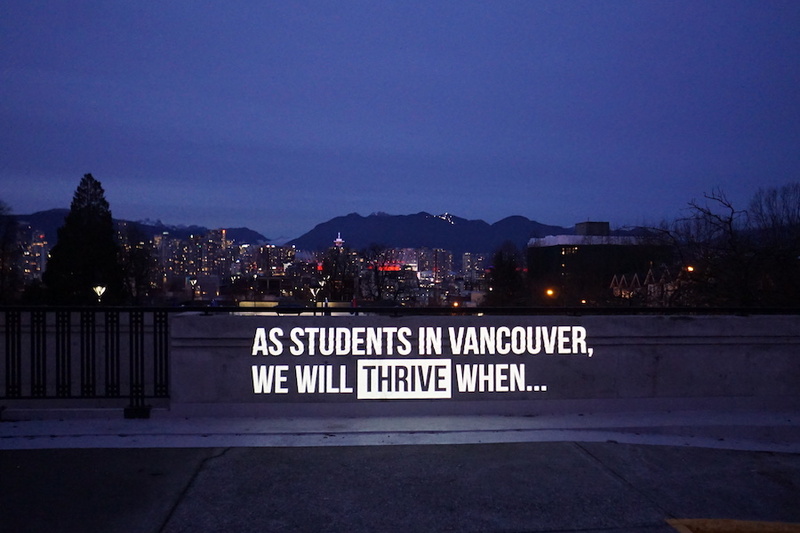 The problem we identified and are trying to solve is: how might the City of Vancouver support young people in staying connected to digital infrastructure? Charge and Connect seeks to keep young people in Vancouver connected to the world, as well as to each other. As a result, our group prototyped a mobile charging station that allowed anyone to charge their mobile devices while moving around the city for free. Our team partnered up with Portable Electric, a local company that provides clean, renewable power through electric generators, to demonstrate our proof-of-concept. We recognize that a big part of connecting to the world is also being able to connect in person. We incorporated a lounge area into our charging station to give people a chance to connect with one another while waiting for their phones to charge. Over 100 people interacted with us during our prototype, and approximately 97% of these individuals would like to see free charging stations for mobile devices in the future. People who stopped to charge their phones would spend approximately 15-30 minutes at our station, connecting with one another while waiting. We also discovered that people want to charge other devices, such as wireless headphones and electric transportation (electric bikes, scooters, and skateboards). The next step for our project is to connect Portable Electric to other organizations. 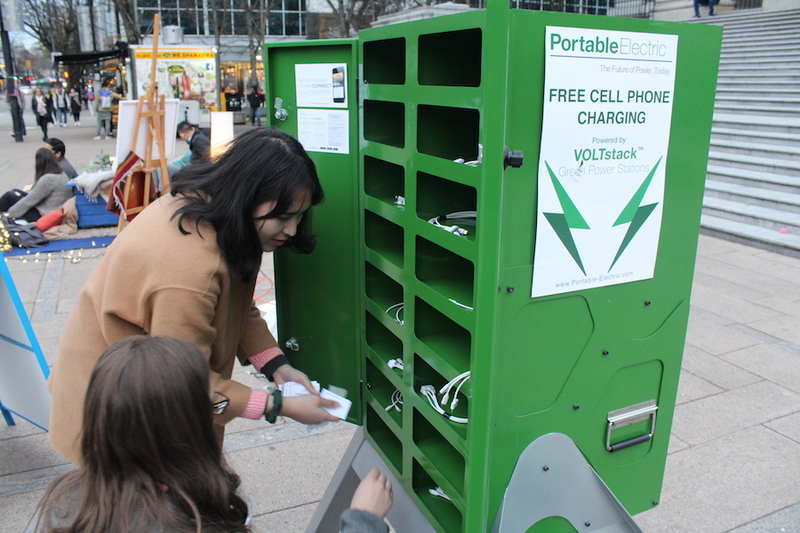 Portable Electric has the infrastructure to redesign and roll out mobile charging stations in the city, however, we need either an external organization or the City of Vancouver to help advance our work and support them in this role. The external organization we are hoping can adapt our project is Neighbour Lab. Neighbour Lab has created a structure, Neighbour Hub, that is designed to engage the City of Vancouver and residents in disaster preparedness. We believe Neighbour Hub can benefit from adding lounge space to their Neighbor Hub structure to help foster a sense of community and connection while using their charging services. In addition to this, they could add a solar panel like the one we used at our charging station to their structure, as an alternative way to generate green energy for their outlets. 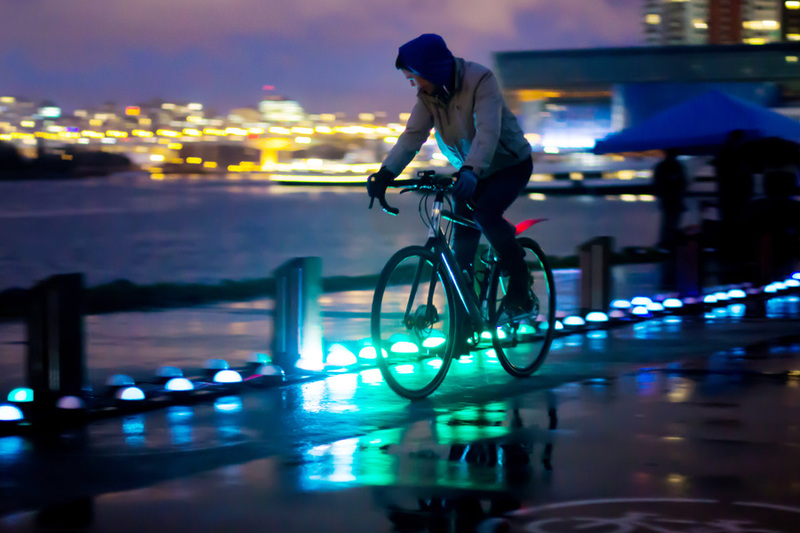 Additionally, we are in contact with VIVA Vancouver to see if they are interested in bringing mobile charging stations to their events, as their program transforms road spaces into vibrant spaces for people. Lastly, we are sharing our project with Cory Dobson, City of Vancouver Urban Planner, in hopes that he can include mobile charging stations in his work.